Using Adobe Illustrator and Photoshop, I create flyers and other designs for the Native American community! See below for a collection of pieces and information about the projects. 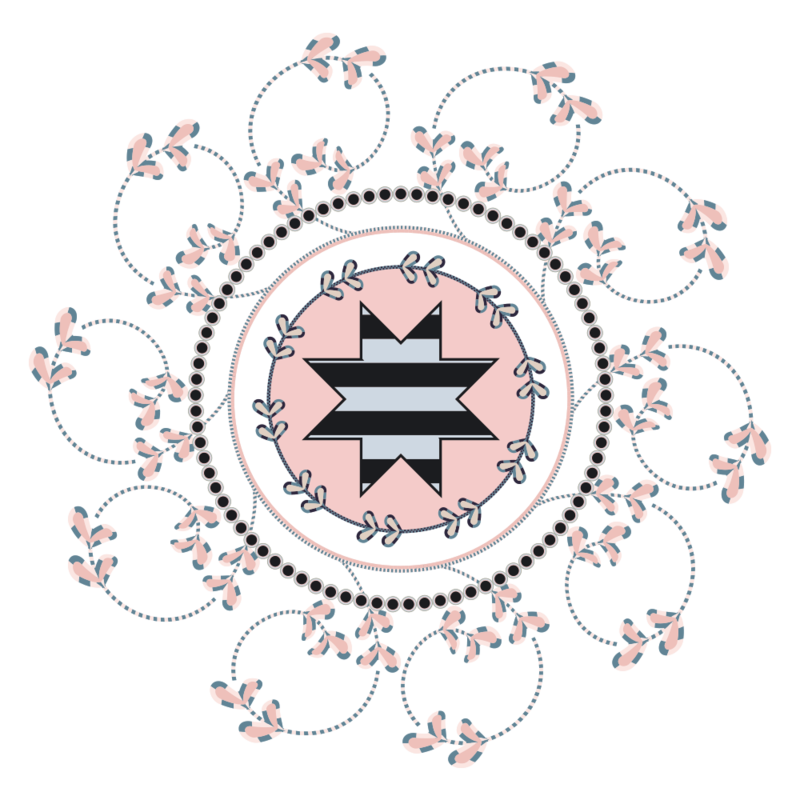 I have been creating websites and designs since I was 13 years old, design has been a passion almost all my life. 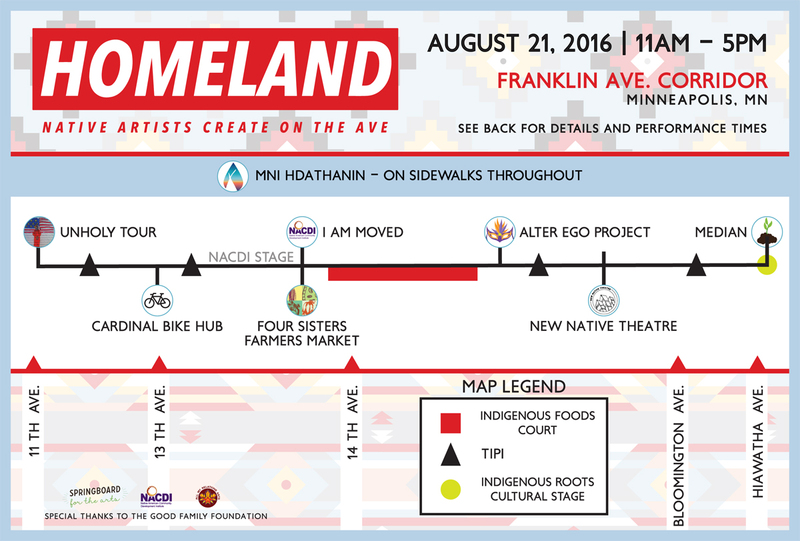 These map cards were created for the Homeland: Native Artists Create on the Ave event that happened August, 2016. 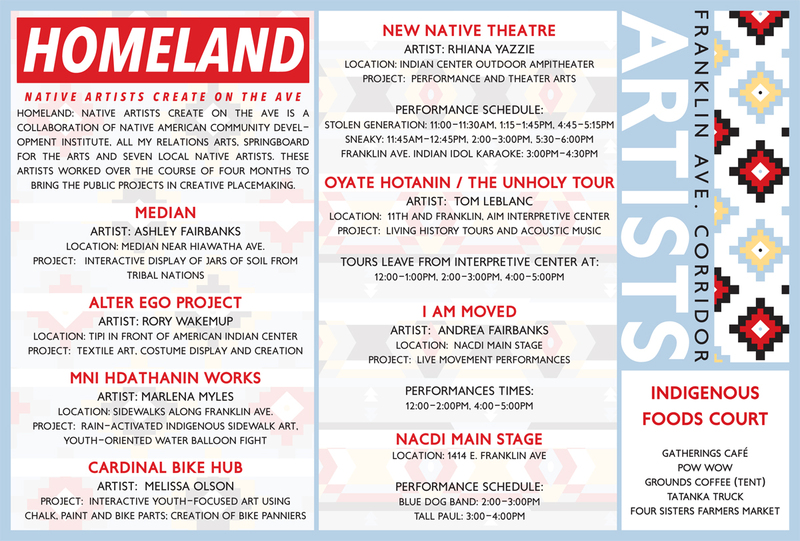 The project gathered a group of artists to create public, interactive work along the American Indian Cultural Corridor on Minneapolis’ Franklin Avenue. I participated in the project and created Mni Hdathanin (Water Makes Its Own Appear). For that project, I created water-activated sidewalk stencils created with a eco-friendly hydrophobic spray created by RainWorks. 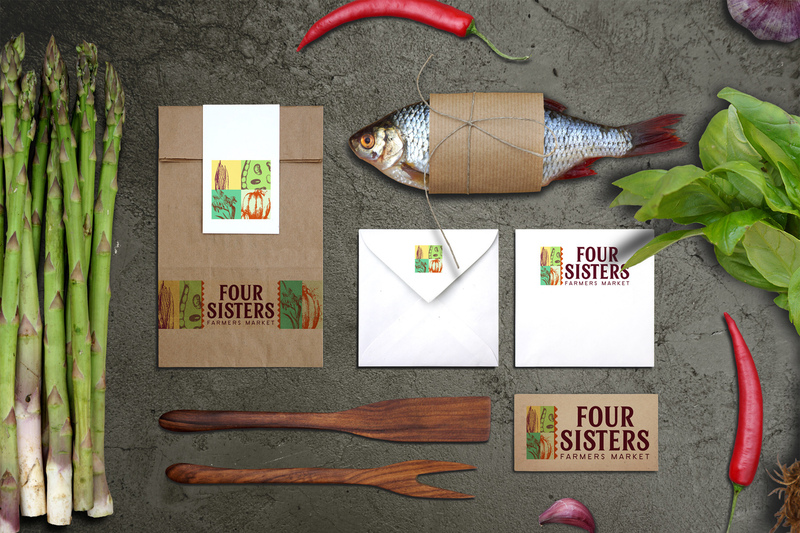 As the art director of the project, I also created a website and logo design to go along with the concept. 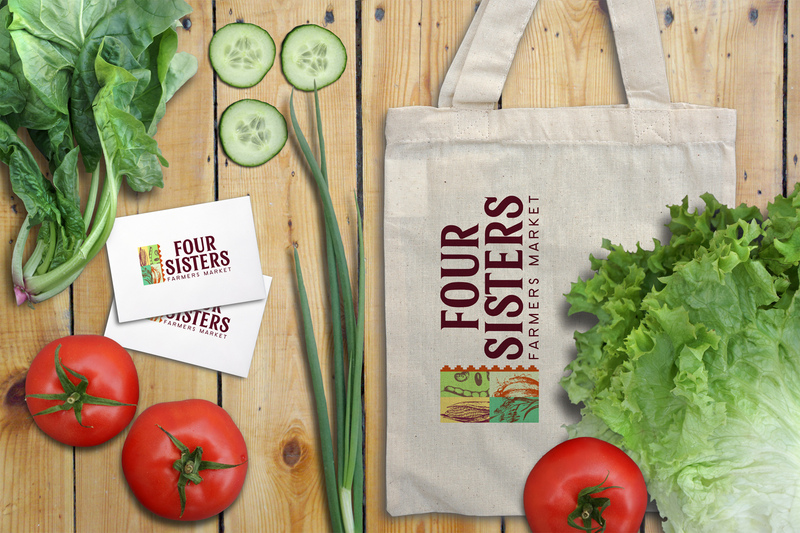 I created the logo for Four Sisters Farmers Market. 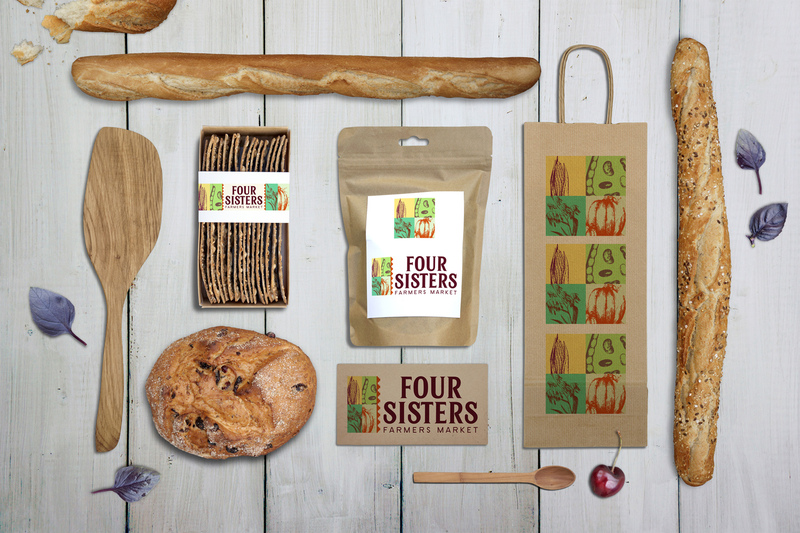 In the process, I created mockups of the various products featuring the Four Sisters Farmers Market branding. 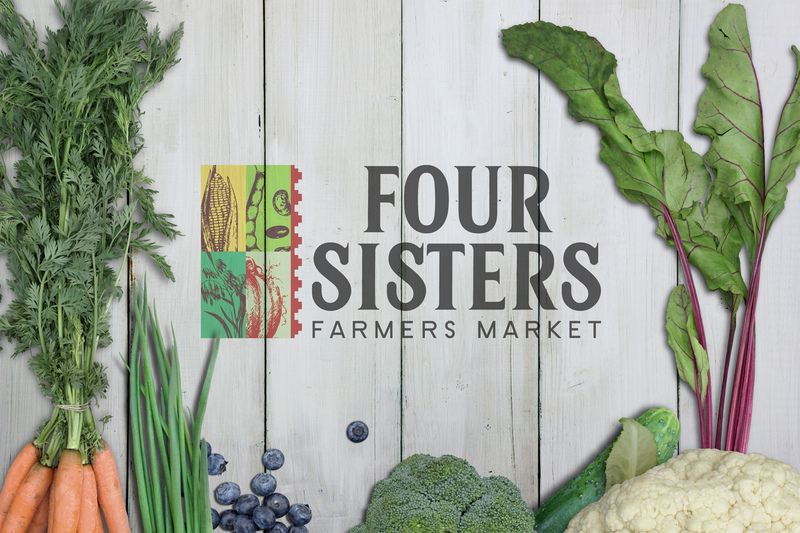 Four Sisters Farmers Market is an Indigenous-centered food market, focused on both Indigenous and hyper-local foods from Phillips and surrounding neighborhoods. The market is a partnership between NACDI, Land Stewardship Project and Hope Community. Working with native-run farms and food producers, we will help develop a healthy, Indigenous food system that is accessible and welcoming to people in Phillips. 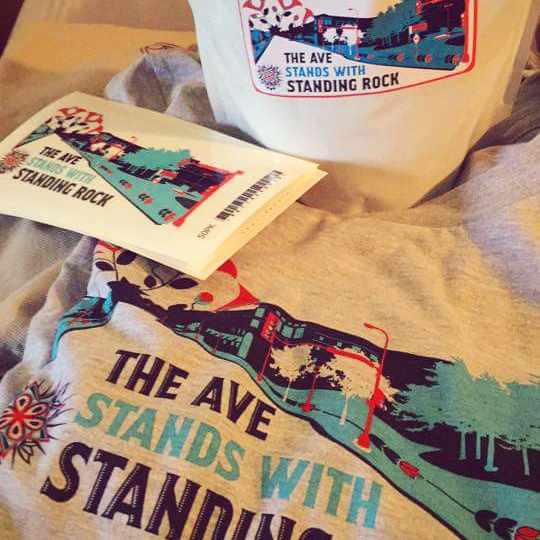 The Native American community in Minneapolis came together to support the NoDAPL water protectors at Standing Rock. 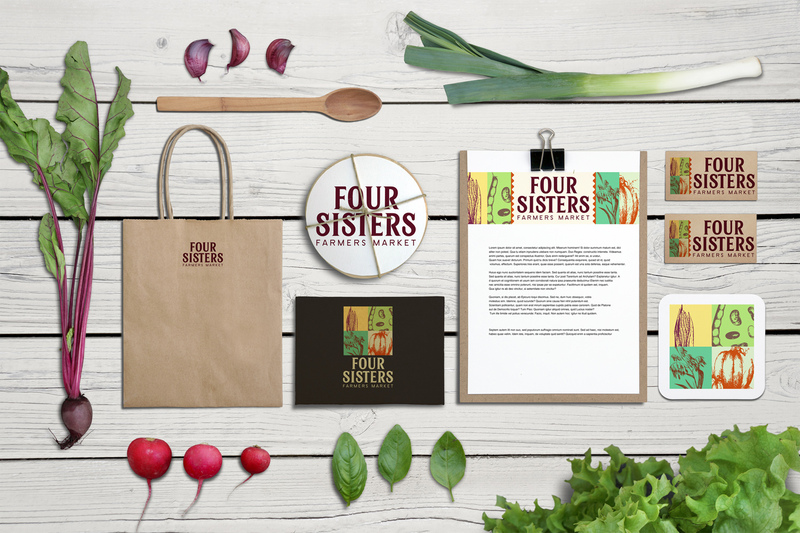 For this project, my vector design was used on the poster, stickers (vinyl, coffee labels), t-shirts and even a tipi. The reference is of Franklin Ave., which is where the Native American corridor is located in the Twin Cities. 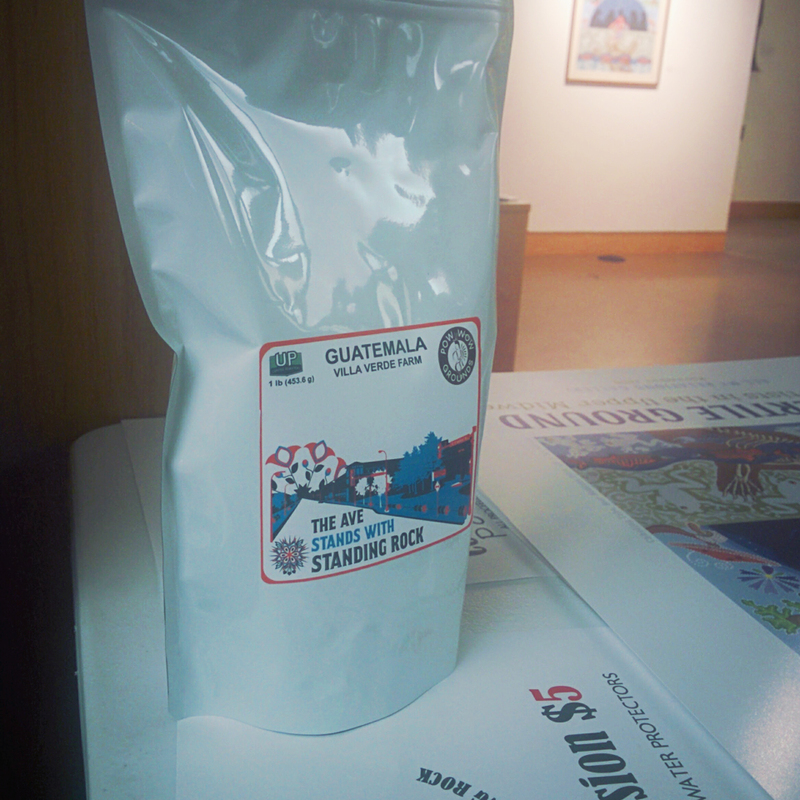 Part of the design includes the American Indian Corridor logo which was originally created by Bobby Wilson. The colors were changed to match my design’s color scheme. 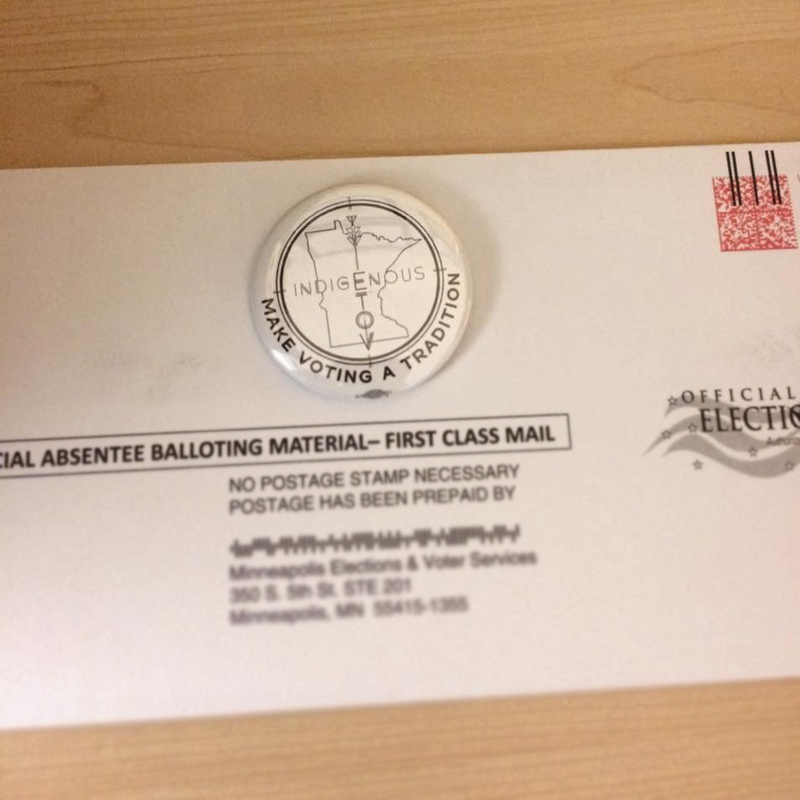 Make Voting a Tradition was a “get out the vote” campaign for the 2016 elections. 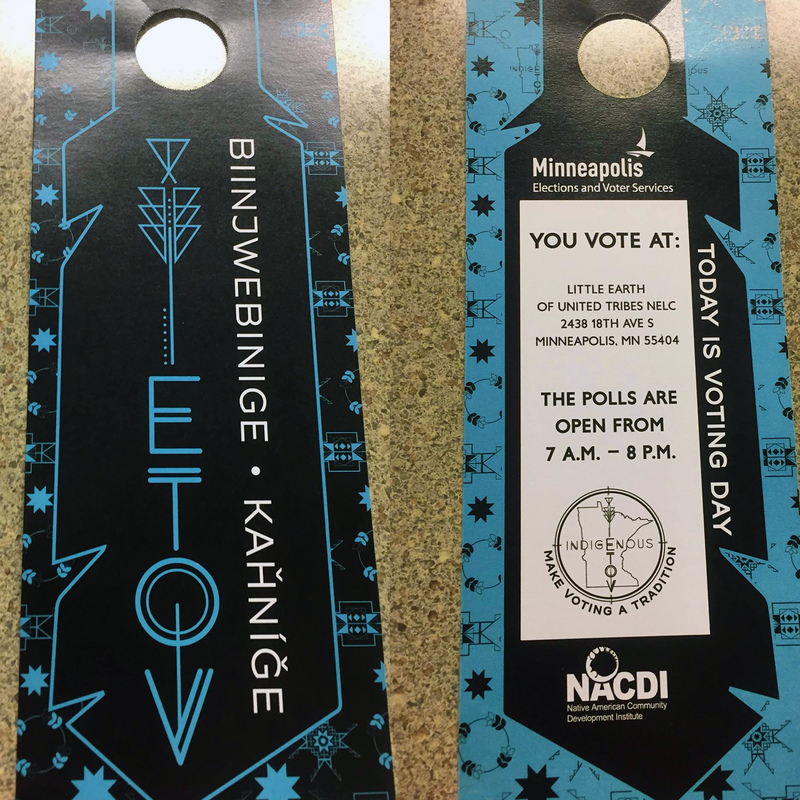 I created the logo design and door knocker design that was distributed during the campaign. 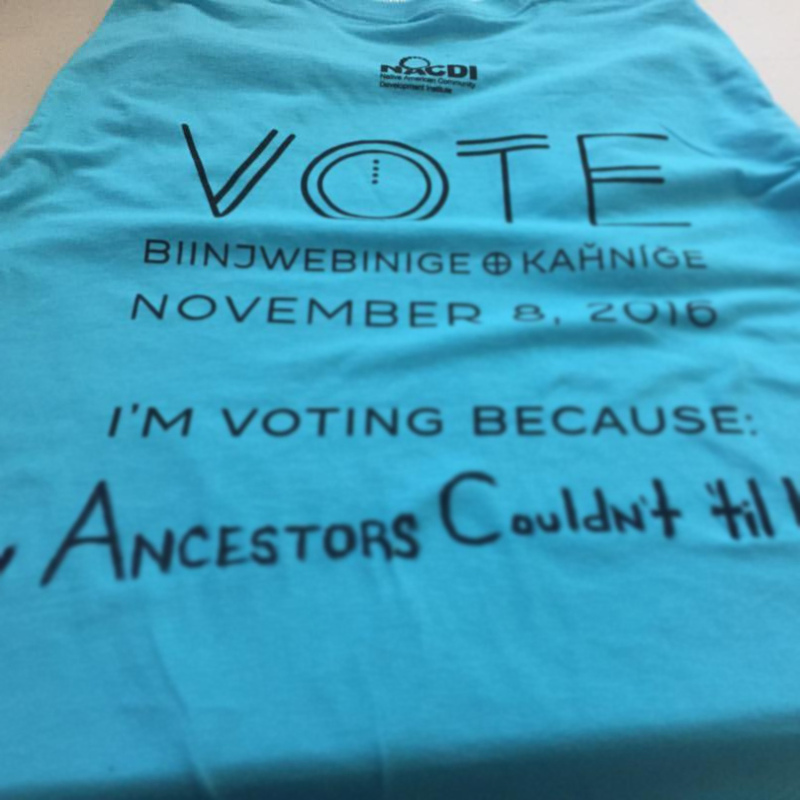 The designs were featured on flyers, t-shirts and voting buttons. 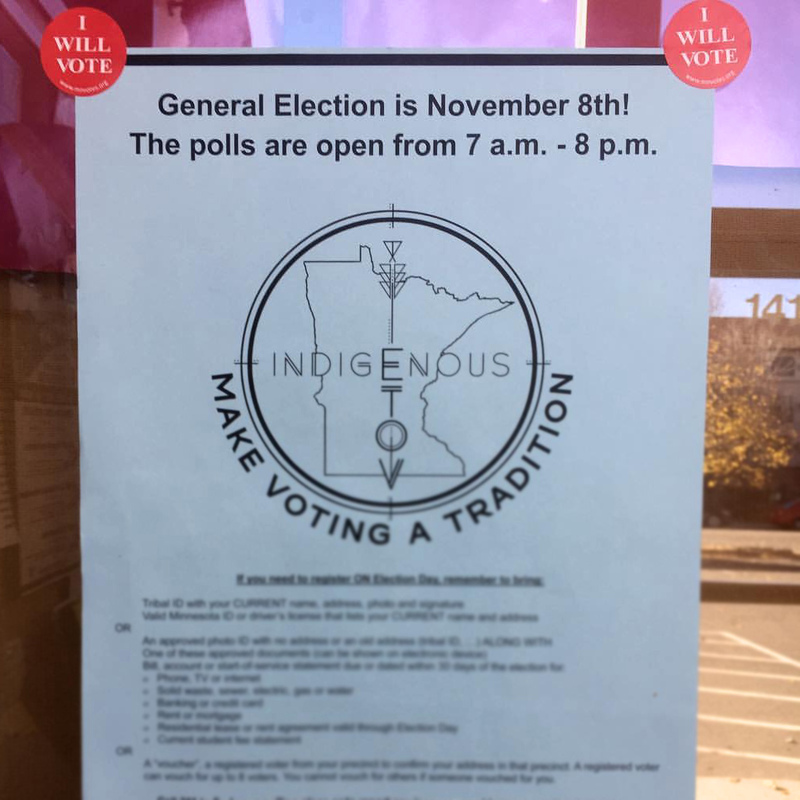 Below are various posters and flyers I have create for a number of Native American organizations, including Two Rivers Gallery, All My Relations Gallery, NACDI, New Native Theatre, Four Sisters Farmers Market, Indigenous Peoples Day 2016, Make Voting a Tradition and the Dakota Truth Telling event. If you are interested in commissioning your next flyer from me, please get in touch with the contact form! I have a wide range of prices, all depending on your budget.